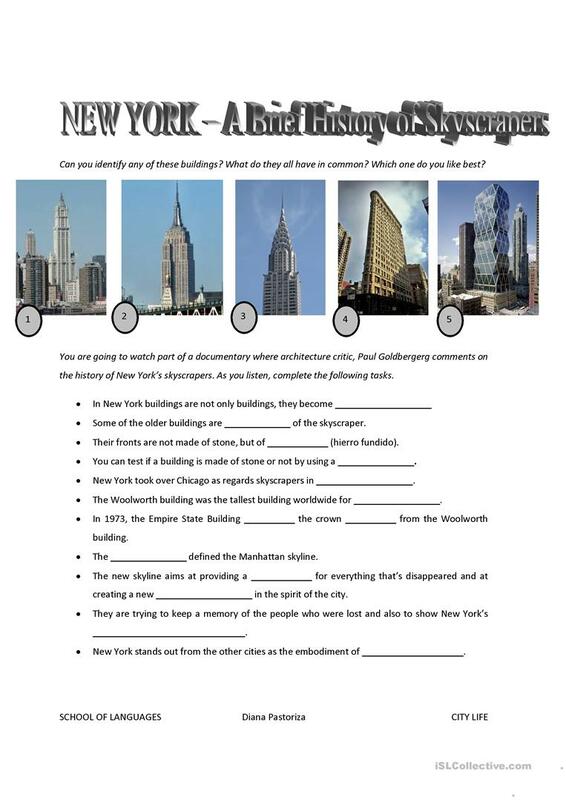 Pre-watching activities: Students try to match pictures of NY Skyscrapers to their names; While-watching activities: Video can be found on Youtube (link provided). 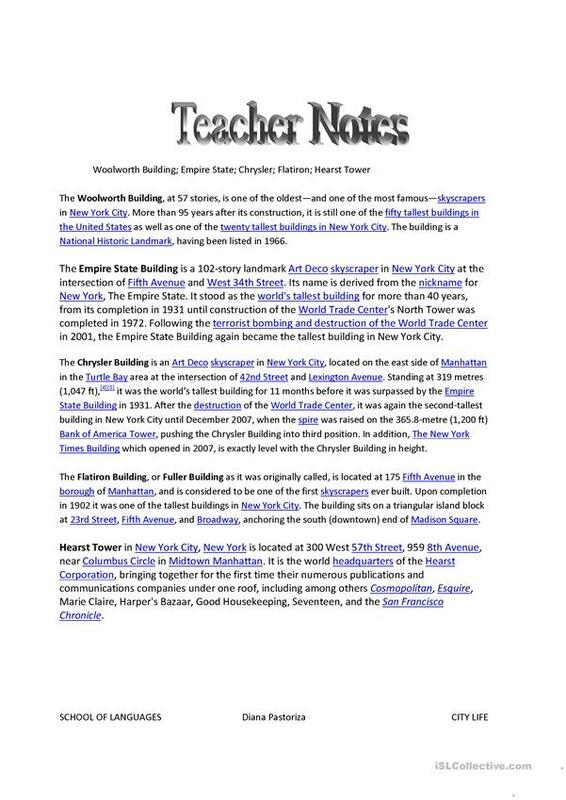 Teacher notes including answer key and a short history of the buildings (source: Wikipedia). The above downloadable handout is a great resource for adults at Upper-intermediate (B2) level. It was designed for honing your students' Listening skills. 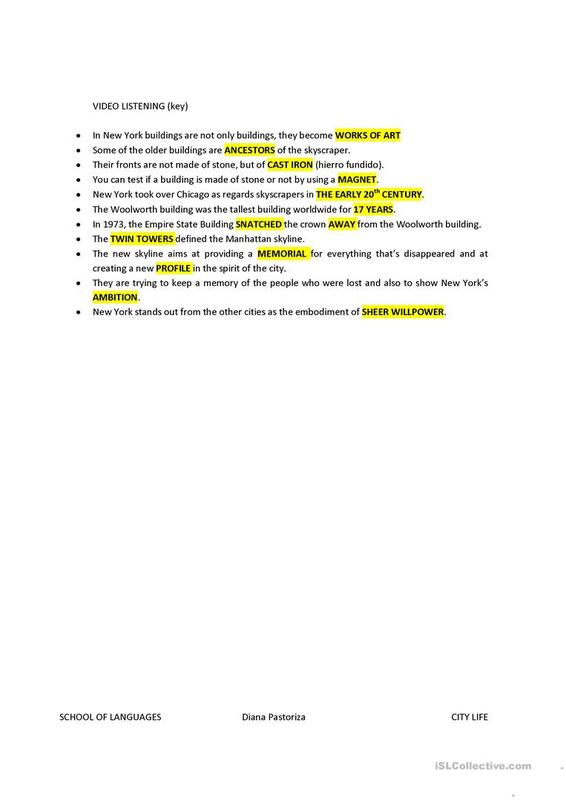 It features the topic and words of United States of America (USA). There is a key provided with the exercises. songsgalore is from/lives in Spain and has been a member of iSLCollective since 2010-11-08 12:08:26. songsgalore last logged in on 2013-11-18 17:09:33, and has shared 1 resources on iSLCollective so far.